This past winter, my Mom and I stayed at this beautiful estate in Kohler, Wisconsin that was filled with gorgeous kilim rugs. I’ve had my eye on these for awhile and after this trip, I couldn’t help but be convinced to officially add these to my wish list. You see these rugs a lot in upscale and traditional places but recently they have been very popular in all types of decor. I love a great juxtapose so seeing traditional rugs even in modern spaces is delightful. My favorites have a touch of pink (or a lot!) but there are plenty of color options available. 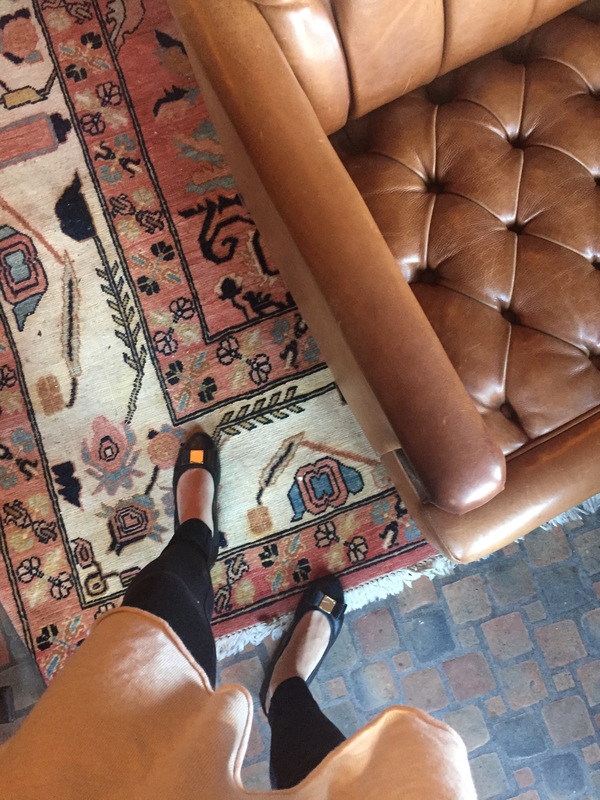 Here are a few places that are on my go to list for shopping for kilim and oriental rugs! Etsy – Etsy tops my list for a couple reasons. I recently visited a new friend’s house (who happens to be a very talented interior designer!) and she had the most gorgeous runner in her kitchen and low and behold, it was an Etsy purchase! I also love supporting small businesses which is another reason Etsy tops my list. 1st Dibs – an online marketplace that connects antique dealers and shops with you! When shopping, keep in mind, you can negotiate prices. Kaya Kilim – I haven’t ordered from here before but I had to include it because their selection looks amazing! Lastly, if you aren’t familiar with Cailtlin Wilson’s rugs, I highly recommend checking them out! Her rugs have been on my wish list forever. They have a similar vibe to these. The patterns are so intricate and interesting and I can’t wait to add one to my own home! Aww!! I just saw this post. Thanks!! 🙂 It was fun to have you over.